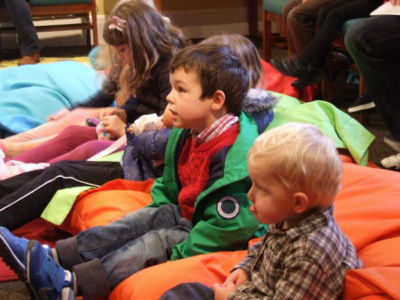 On Sundays, we have children’s groups meeting during term time for all ages. There is Kingdom Kiddies for the 0-4s and Kingdom Kids for 5-10s. Our children’s groups seek to teach the children the good news of Jesus in an age-appropriate way, with fun crafts and games to help them learn. We’re always happy to have visiting children join our groups, so please do come! All of our children’s volunteers are checked by the Disclosure and Barring Service and agree to follow St Chad’s child protection policies, to help keep our children safe. More information is available here.